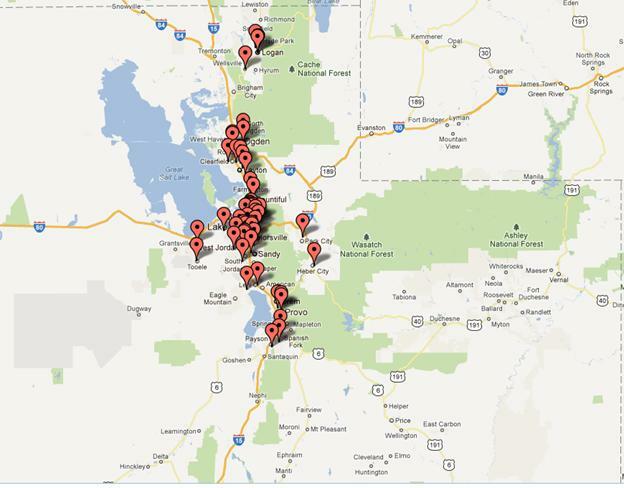 Click on the screenshot below to see a map of some of the places where we donated within Utah during the last year. If you have an idea for the map, please share with Ray_Child [at symbol] cable.comcast.com. Please click on the graphic below to see the actual map; it make take several seconds for all the markers to load.